We stayed at Whispering Palms for 5 nights in March. It is a great house in a wonderful location. A very easy walk to one of the best beaches and an easy bus ride to some fantastic restaurants. We stupidly left some clothes and the management company were very helpful dropping them off at a friend’s hotel after we had left. We also rented a car for the day through Tricia at the company and that was very efficient with the car quickly brought to the villa. Highly recommend Rico’s beach loungers on Alleynes beach and lunch at the Lone Star. Thanks so much for your kind review. It was lovely to have you stay at Whispering Palms; we are so glad that you had a great time and would love to welcome you back sometime. our stay very convenient. The home was well stocked with everything that we needed and very comfortable. Sylvia the housekeeper was wonderful to deal with. Only drawbacks would have been the hot water was not very plentiful and the water pressure left much to be desired but we made due and would not be a deal breaker to staying there again. Hi and thanks for choosing Whispering Palms. Great that you had a good time and thanks for the heads up on the hot water. Because we are eco friendly and so solar powered if the weather is a bit cloudy and everyone showers sometimes the hot water can take a little time to replenish. We just accept it as part of the charm of Barbados. We were extremely pleased with everything at Whispering Palms. The owner's communication was excellent and the managing agent was always on hand to answer any questions. Our party was made up of two families of 4 with children between 10 & 12. the layout of the property was perfect for us. 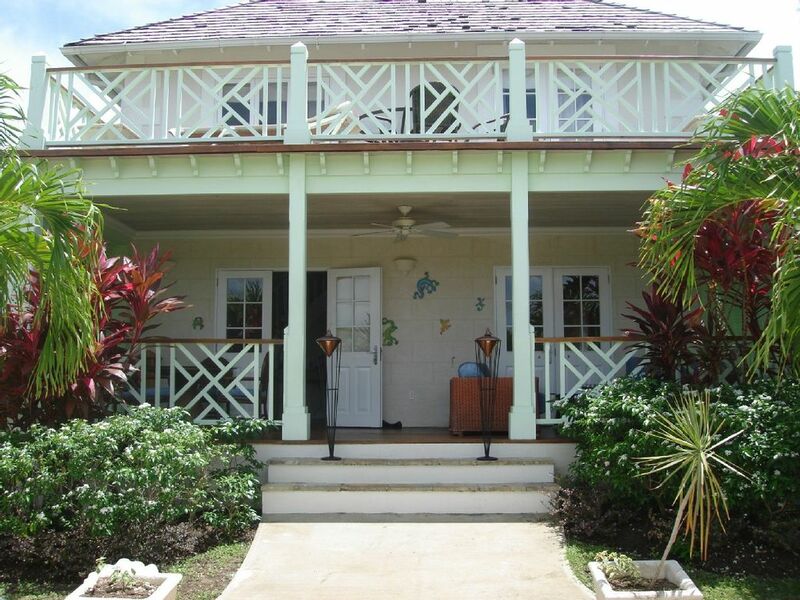 The property is 5 minutes walk from one of the best beaches on the island. Thanks guys. Great having you there. So glad you all enjoyed it. Well appointed and close to the beach. Thanks for the response, sorry we never got chance to meet. Really hope you guys enjoyed yourselves and we see you again sometime. Thanks so much for such a fab review. Its all about team work. We have a great team on site and you as guests were a delight to deal with. Thanks again. We would love to welcome you and your family back sometime. What a fabulous review and many thanks. We try to make it home from home and so our guests feel as though they have left one home and just moved to another for a week or two!